Cristiano Ronaldo’s future has once again made the headlines of Portuguese newspaper Record. The Portuguese international helped Real Madrid to four UCL titles in the last five years, and the EURO16 win with Portugal has made him one of the best players the game has ever seen. The 33-year-old is the talisman of the current Real Madrid squad, but time and again, his future at the club has been up for debate. He was extensively linked with an exit even last summer, but stayed back. However, that may not have been a long-term decision, as he himself revealed right after the UCL final in Kyiv last month. The reigning Ballon d’Or winner claimed he will be talking about his future in the days to come, but is yet to reaffirm the club’s fans that he is staying in Spain for another year. And to add fuel to such rumours, Record have now made a huge statement, claiming that Ronaldo will quit Real this summer. ‘Ronaldo vai sair do Real’ reads the newspaper’s front page today. They claim that Ronaldo is unhappy with the unfulfilled promises from club president Florentino Perez, and has finally made a decision about his future. Moreover, his decision to depart is ‘irreversible’. 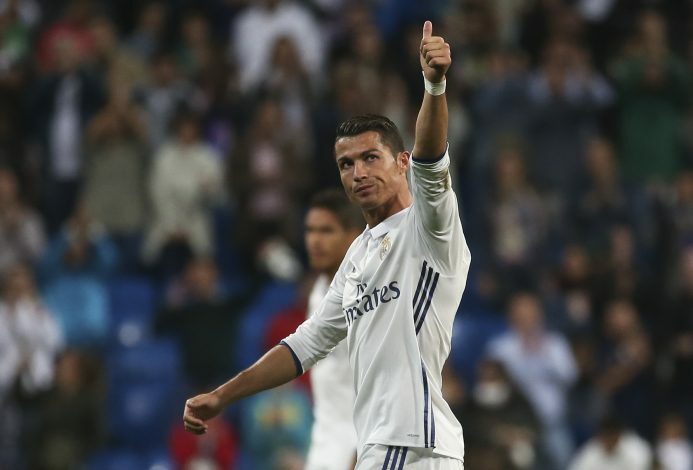 This story comes on the back of claims from Spanish TV football programme El Chiringuito, which state that Jorge Mendes, Ronaldo’s agent, was left dissatisfied after recent showdown talks with the Madrid hierarchy. They suggest that the talks have left Ronaldo feeling pensive about his future, and that he has finally decided that it is the right time to move away. Record also added that the former Manchester United superstar wants to stay in Europe, with clubs from Italy, England, and France likely to attract him.